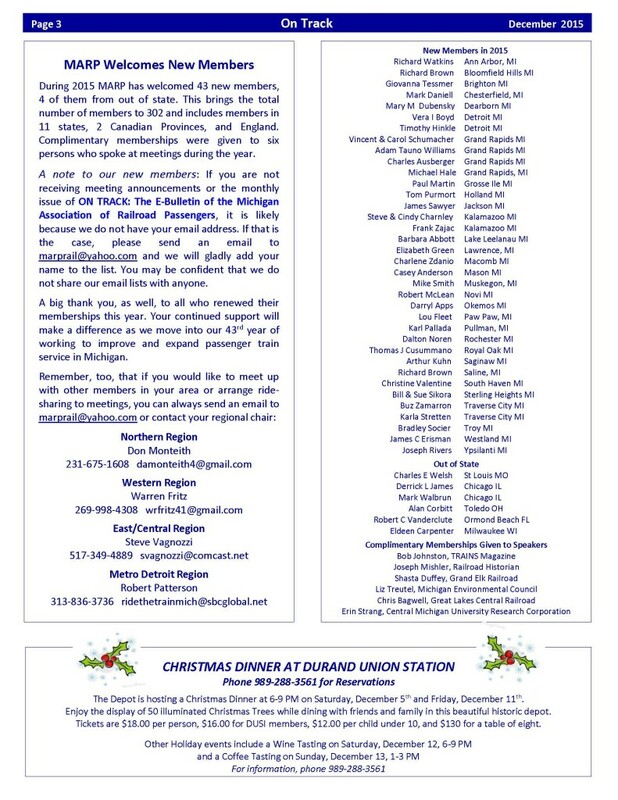 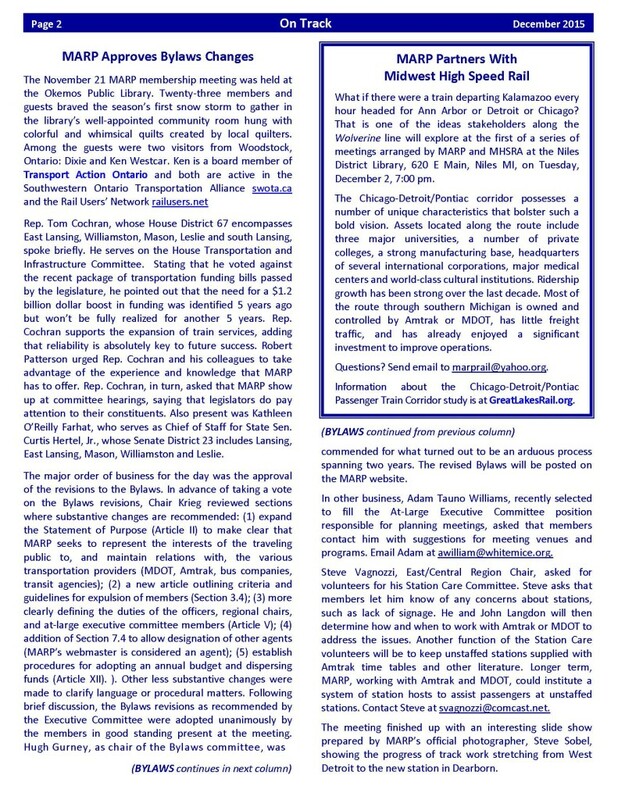 Your December issue of ON TRACK: The E-Bulletin of the Michigan Association of Railroad Passengers is here. 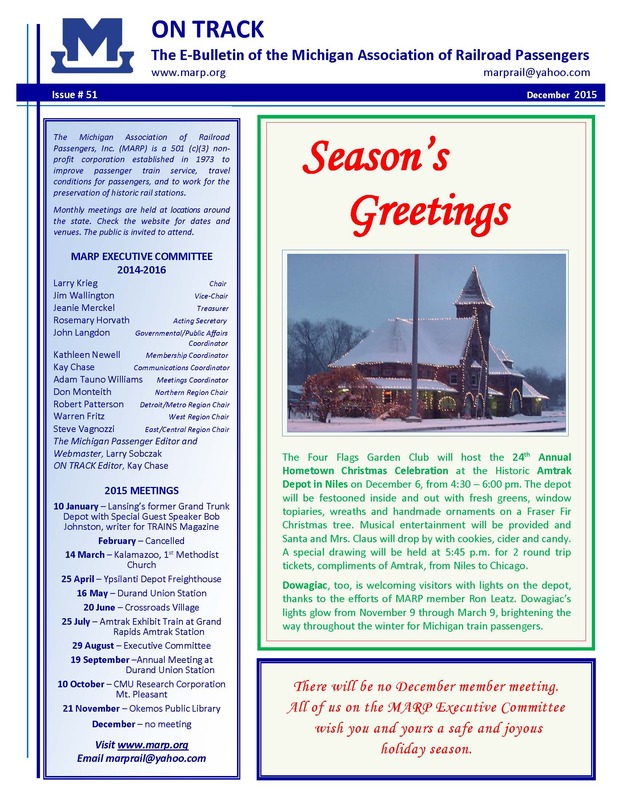 The MARP Executive Committee wishes all of you a safe and joyous Holiday Season. 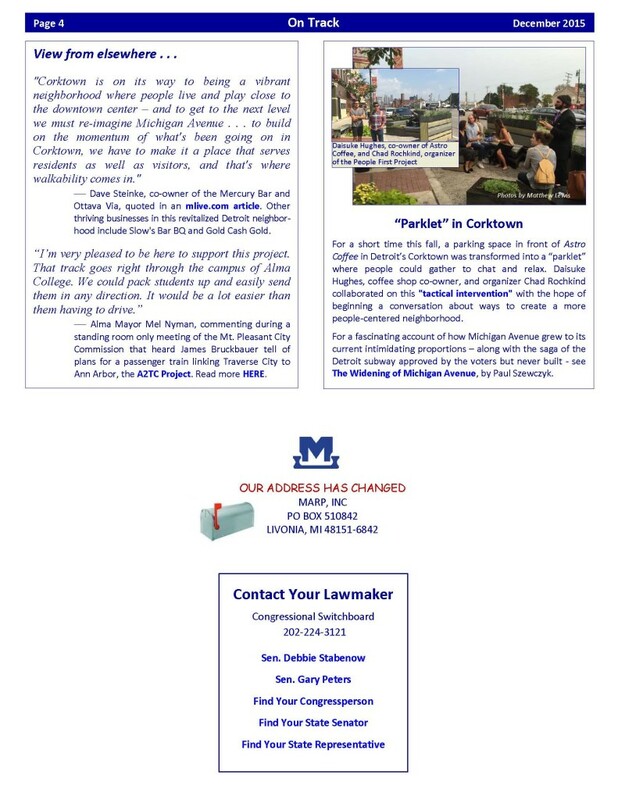 This issue includes notes from the recent member meeting in Okemos and a welcome to the 43 new members who have joined us in 2015.